Family Secrets Teasers April2019 – Upcoming Star Life Bollywood drama series ‘Family Secrets’ teasers, previews, updates, episodes, highlights and spoilers for April 2019. Adhiraj learns that Purushottam is Sudha's brother. Elsewhere, everything goes as per Gayatri and Satrupa's plan. Will Anami learn about it? Anami confronts Sudha for scaring Ladoo. She also thinks about Sudha's behaviour. Can she convince her to leave Lal Mahal? Adhiraj learns about Anami's distress and gives her a surprise. Anami turns curious when Sudha hides few photos from her. Ladoo seeks Satrupa's help to complete his homework. On the other hand, Anami does a homework on Sudha and finds a major evidence. What is it? Satrupa threatens to expose Sudha before Anami. Baldev gets angry as Dhiru asks Vikramaditya to put the project on hold. Later, Anamai discusses Vatsalya with Sudha. Ladoo challenges Anami that he will speak perfect English in 5 days. Anami ponders over Satrupa's caution against Sudha and does something to test it. Satrupa aims to win Narottam's heart and advises him to take up a farming business. Anami is in a dilemma as she fails to figure out Sudha and Satrupa's intentions. Anami finds Vatsalya's belongings in Narottam's room. Adhiraj asks Anami to stay alert while Satrupa insults Sudha. Anami requests Vikramaditya to fulfill Vatsalya's wish. Purushottam secretly meets Sudha. Will he get caught? Anami wants to complete Vatsalya's dream project. Vikramaditya and Satrupa find a perfect opportunity to strike a deal with her! To fulfil her brother's dream project, Anami asks Sudha to sign the acceptance letter. But Sudha has a condition too! Anami scolds Ladoo for disrespecting his elders. Ladoo tries to hide from Anami and eavesdrops on Sudha's treacherous plan. Will he tell Anami about it? Did Ladoo just get kidnapped in Anami's presence? Satrupa helps Anami find him. Where is he? Anami goes into depression, thinking about Ladoo. Adhiraj and his team conduct a search. Can they find Ladoo? Adhiraj consoles Anami as she worries about Ladoo. Later, she receives a parcel from the kidnapper. What's in it? Satrupa takes care of Anami and soon leaves the Mahal as she gets to know about Ladoo. What is Satrupa upto? Satrupa makes an irresistible offer to Purushottam to release Ladoo. Will he accept the offer? Purushottam ends up in Satrupa's trap as she frees Ladoo from his grasp. Later, Satrupa fears reuniting Anami and Ladoo! Satrupa refrains from taking Ladoo home. Instead, she comes back home alone and cooks up a different story. What is Satrupa up to? Satrupa comforts Anami, but doesn't disclose that she has taken Ladoo away! Anami saves Satrupa when Sudha attacks her. Later, Anami finds Ladoo's drawing in Satrupa's purse. Will she find out the truth? Anami finds Ladoo's drawing in the car. Satrupa visits Baldev's house but sees him embracing Sudha. Purushottam attacks Satrupa and holds her and Ladoo at gunpoint. Anami and Adhiraj try to rescue Ladoo. Purushottam asks Ladoo to reveal his abductor's name. Later, Sudha does something unthinkable when he tries to reveal her secret! Anami and Satrupa are disturbed as Ladoo loses his voice. Meanwhile, Sudha tries to scare Ladoo! Sudha threatens to kill Anami if Ladoo speaks a word against her. Anami suspects that Ladoo's kidnapper resides in Lal Mahal and makes a smart plan to find the culprit! Anami with the help of Adhiraj scripts her own kidnapping drama to make Ladoo speak. Can their plan bring Ladoo's voice back? Anami and the others are happy as Ladoo gets his voice back. But Sudha decides to shut him down before he exposes her! Sudha fails in her plan to harm Ladoo. Satrupa fears that Ladoo might reveal her secret to Anami. Adhiraj questions Sudha about the short circuit at the Lalmahal. Later, Anami tricks Satrupa. Anami lashes out at Satrupa. Later, she decides to leave the Lal Mahal. Anami is determined to escape from Lal Mahal with the singing troupe. Meanwhile, Vikramaditya consults Adhiraj for Anami's security. Adhiraj is sad on learning about Anami's plan to leave Lal Mahal. With Poonam and Narottam's help, Anami and Ladoo manage to escape. Adhiraj intervenes when Anami tries to escape along with Ladoo. Later, Satrupa gets shocked to find them missing. Anami tells Murari and Madhu that they are in danger. On Murari's advice, Anami, Adhiraj and Ladoo travel to Haripur. Satrupa tries to catch Anami. On their way to Haripur, Anami, Adhiraj and Ladoo struggle to hide from the police. Adhiraj, Anami and Ladoo struggle to escape from the police. Satrupa is furious to know that Adhiraj is helping Anami in her plan. Adhiraj safely brings Anami and Ladoo back to Madhu and Murari. Anami tries to go far from Satrupa's reach with her family. Anami is shocked to see her house burning. Meanwhile, Adhiraj catches the culprit behind the fire. Will he find out who had sent him? 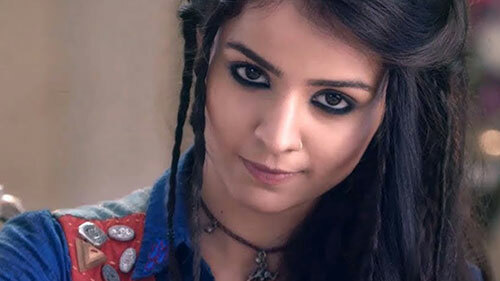 Anami vows to take revenge against Satrupa for destroying her house. Meanwhile, Satrupa and the others are in shock on learning about the incident. Premiere episodes of Family Secrets air on Star Life in double bills at 21h00 and 21h30 from Mondays to Fridays. It ends on Wednesday, 30 January and will be replaced by a new 154-episode series called Family Secrets, originally named Rishton Ka Chakravyuh in India. It premieres on Thursday, 31 January at 21h00 (also with two episodes a night) and tells the story of 17-year-old Anami Baldev Singh, played by Mahima Makwana of Young Dreams (Rachna). Anami is from a royal industrialist family but was abandoned by her mother Satrupa (Narayani Shastri) when her twin brother Vatsalya (Devarshi Shah) died. As the action unfolds, the story explores Anami's unwilling return to her roots and the fiery relationship between herself and her mother. In the process she meets CBI officer Adhiraj Pandey (Ankit Siwach) who deals with matters concerning the house of Lal Mahaal. He takes a liking to Anami and the pair become tight as Anami starts to live her new life with a new mission: to find out what happened to her brother. Enter Sudha (Sangita Ghosh), Anami's biological father's lover, and Anami has an enemy - but she doesn't know it. Suhda wants it Lal Mahaal and Anami's inheritance for herself and her illegitmate son Narottam (Akash Gill). Instead of giving her trust to her pushy, domineering mother Satrupa, Anami puts her trust in Suhda. But then she starts to see. Adhiraj wisens up to Sudha's evil ways and protects Anami by warning her. So begins her struggle to secure what's hers and to find the truth about Lal Mahaal and everyone associated with it. Thematically the series is loosely based on the Mahabharata, the longest epic poem of Ancient India and a Hindu spiritual work. It deals with the struggle for an ancestral throne and includes the legendary Bhagavad Gita. According to Family Secrets writer Vijayendra Prasad, the inspiration for the show came from his mother who was suffering from breast cancer. When she was in hospital she read the Mahabharata and would talk to him about it and debate it. "I found my Anami in her," he told ETimes before the debut of the series in India.